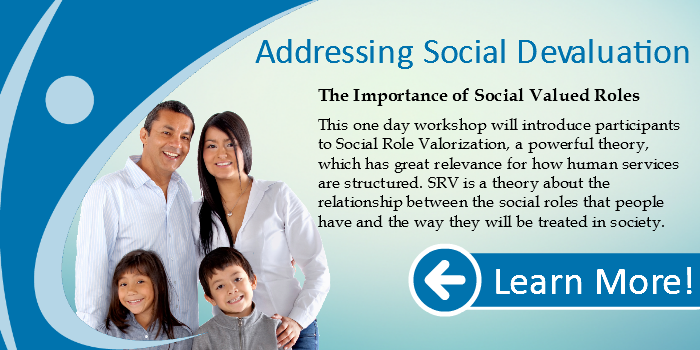 This one day workshop will introduce participants to Social Role Valorization, a powerful theory, which has great relevance for how human services are structured. SRV is a theory about the relationship between the social roles that people have and the way they will be treated in society. We know that certain groups are routinely devalued in our society and that those who are devalued are often treated poorly. SRV contends that enabling and supporting those who are devalued or at risk of devaluation to to have valued social roles increases the likelihood that they will have access to more of the good things of life. This workshop explores the processes by which certain groups of people become devalued within society, the impact this has on their lives, what we mean by valued social roles and how promoting these can make a difference. 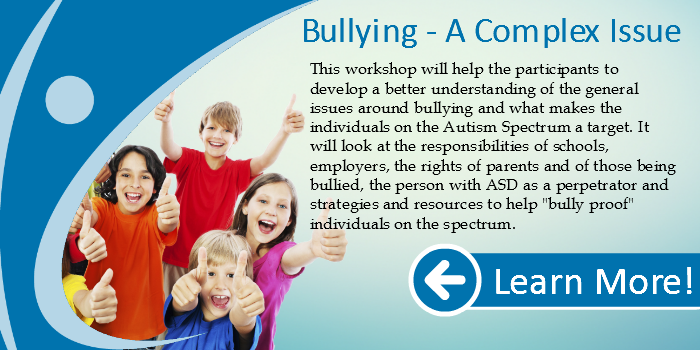 The workshop is intended for family members, board members, human service workers, managers, advocates and citizens who are interested in improving the life conditions of people who are devalued as a result of disability, poverty, homelessness, age, etc.